When Beth reached out to us, she was passionate about following her dream to open her own bakery and work for herself. She wanted to jump in with both feet but she was unsure about the process and where to begin. We helped her see the process clearly by starting with a profit model that shaped the business – sales channels, target audience, labor model, cost of goods, pre-opening expenses, etc. Some of the revelations were new discoveries and shaped the product line while others gave her discipline to know that she needed to do certain things herself…which never scared Beth! By starting slowly, Beth was able to move from dream to reality very quickly. We helped her evaluate the competition, develop the floor plan and through-put model, define equipment and labor needed, and generally coached her along the way until she was able to run with the opening on her own. We’re very proud to have been part of Beth’s success and stories like hers are why we do what we do. For many years I had baked cookies and cupcakes for my friends and family and only dreamed of owning my own bakery. After awhile I grew tired of denying the voice in my head – and the voices of my friends and family – and decided to go for it, however I had no idea where to start. A friend recommended that I contact Blue Orbit. I did and the rest is history. Ray Camillo was great to work with and he respected my budget, providing only the services I needed while coaching me through the pieces I could not yet afford. Ray’s financial model helped me refine my business concept while giving me accurate pre-opening cost projections and post-opening performance expectations, enabling me to get funding. He even helped me choose a location! 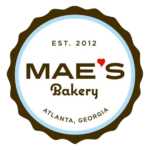 Today Mae’s Bakery is the darling of Lenox Road in Atlanta and my dream has become reality. Ray Camillo was instrumental to my success and I enthusiastically recommend Blue Orbit to anyone aspiring to open the restaurant of their dreams.